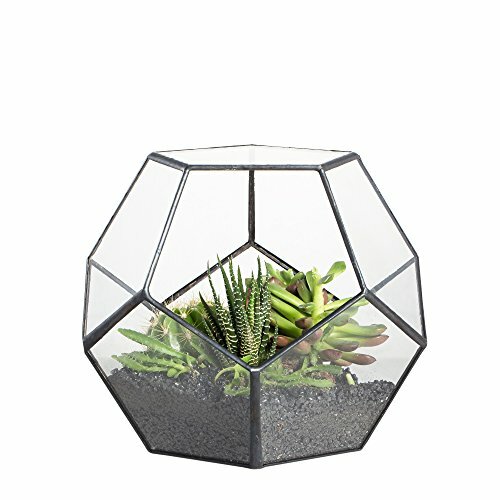 1.Elegant glass geometric terrarium is perfect for holding plants or other objects, and can serve as a stylish and modern style centerpiece by itself. 2.Perfect display box for weddings, holidays, parties, offices, and home decor. Modern design to any space. 4. Made of ultra clear sodium calcium glass, plants and decoration are not included. If you have any questions about this product by NCYP, contact us by completing and submitting the form below. If you are looking for a specif part number, please include it with your message. Kaemingk Set of 2 French Countryside Distressed Tan Natural Wood Terrarium Greenhouses 16.5"